Good Chemistry Nurseries was founded to “Make Life Better” for those in need. 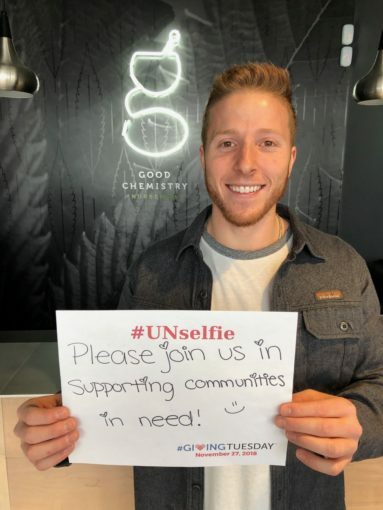 Originally formed to provide relief for those living with critical illnesses, Good Chemistry has expanded our outreach to serve a broad array of communities in need. This Holiday season, we encourage you to take part in this year’s national #GivingTuesday movement. Celebrated on the Tuesday following Thanksgiving and the widely recognized shopping events Black Friday and Cyber Monday, #GivingTuesday kicks off the charitable season, when many focus on their holiday and end-of-year giving. #GivingTuesday is a global day of giving fueled by the power of social media and collaboration. We encourage you to remember the communities in need today and throughout this holiday season, and join us in connecting diverse groups of individuals, communities and organizations around the world for one common purpose: to celebrate and encourage giving.